You always have to look professional to make a lasting impression on your clients. 75% of consumers say an email address matching your domain is CRITICAL to TRUST and PROFESSIONALISM. Let Darci LaRocque from Tech N Touch teach you how you can build a more solid foundation with your present or future clients and be a brand that can be trusted with the use of GSuite. Have you shared your listing on Facebook only to realize the auto-populated information is not what you expected? Similar to browser cache, Facebook also stores a copy of each shared webpage on their own servers (for efficency). A new listing isn’t showing any data or is only showing the description with no photos. You’ve added new listing photos, but when you share the listing to Facebook, the thumbnail contains an old image. 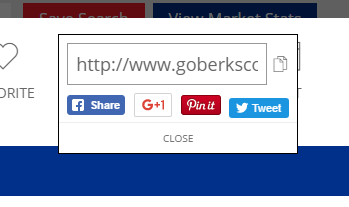 You’ve updated your listing description, but the old information displays on the thumbnail page when you share to Facebook. Fortunately, there is a way to force Facebook to refresh its cache for a listing by using their Sharing Debugger tool. Enter the listing URL into the field and click on Debug. This will bring up a screen of information that tells you when the last page was last scraped. Click on Scrape Again. Now when you share the listing on Facebook, it should reflect all of the latest information. Note: Every listing has two URLs available, and these are listed on the Detail page of the engageRE Agent Portal. You may need to repeat these steps for both URLs. Recently in trade press, the question of whether websites should be made secure (all exchanged information encrypted) is being asked. An "SSL certificate" must be purchased for each domain associated with the site. Certificates that can do that typically cost (upwards of $70/year or more) and must be continuously maintained/renewed. That cost, both in terms of dollars and administrative oversight, would have be born by each individual website owner. The underlying platforms (engageRE & LeadStreet in this case) would have to be modified to support SSL. This would require significant development effort to offer this as an individual option across the several thousand websites hosted by engageRE. Based on what we know at this time (one article here), Google's policy shift to start giving a "minor ranking boost" to websites that provide secure transport, would not justify either of those investments. It appears to be more of a social legislation play ("...making the web safer for all of us...") because it is only a "lightweight signal" gain in terms of SEO. We therefore conclude that the highly competitive nature of SEO ranking on real estate keywords would not be materially impacted by adopting SSL on an engageRE/LeadStreet website. All that said, consumer attitudes as it relates to privacy is an important component of our solution. Should the need for SSL become a key factor in influencing consumer behavior, this will certainly be revisited. There are two paths to adopting Google Analytics as a tool to gain insight into the performance of your online marketing efforts, depending on your website platform.